Your undergraduate years at Columbia College were just the beginning of a lifelong relationship with the school, your friends and a community of remarkable, accomplished individuals, who will support you, advise you and be a resource for the journey you are beginning. Learn the basics about your new life as a Columbia College Alum! Study up and you’ll be set for life. Columbia College Young Alumni is an active community for graduates from the last 10 years. Upon graduation, all Columbia College women graduates automatically become members of Columbia College Women (CCW), a community for alumnae, students and faculty. Apartment hunting, networking, cooking on a budget... Alumni are here to help! Singular noun to describe a male former student, or when gender is unknown. Singular noun to describe a female former student. Plural noun to describe male and female former students. Plural noun to describe female former students. Don’t leave behind the best part of having gone to Columbia— the people. When you visit the Alumni Directory, you can stay in touch with friends and classmates and create new connections in the community as you start your career, move to new cities or pursue your passions. Visit the CCAA Connect page where you can find a variety of ways to connect throughout Columbia College and the University. On the menu bar at the top of the page, click My Profile to update your personal and professional information (add a professional picture if you are looking for a job!). Make sure to include internships to build a full picture of your experience. Click Alumni Directory to search for fellow alumni. Do a simple search by someone’s name or an advanced search where you can filter by field of work, company, location and more. Send someone a direct message by clicking Send Message on the right hand side of their profile. Ask about their company, their career path and or professional insight. Be respectful of alumni and use your outreach wisely to make meaningful connections. Do not "cold call" people for jobs. Follow us so you can hear the latest news, see photos of what’s happening and be a part of our community conversation. If you have questions email us at ccalumni@columbia.edu. Whether you stay in NYC or head to West Hollywood, there are alums you can connect to, learn from and reminisce with about College Walk. Meet some of our Regional Ambassadors, who are available to answer questions about their region! Tie between Floriole in Lincoln Park and La Colombe in Bucktown. I don't drink coffee. My favorite gourmet fajitas are at Uncle Julios, brisket and burnt ends at Lockhart Smokehouse, Taiwanese at Wei Fang, cuatro leches cake at La Duni, Vietnamese at Pho Pasteur II, kolache at The Czech Stop, and local cuisine at The Ranch. I live in Los Feliz, where all (at least, most) NYC expats live. We all love Alcove on Hillhurst Ave, where LA's eternal sunshine can be enjoyed over great coffee and snacks in the outdoor patio. Tea drinker here! Last time I had an "amaaazing" moment with tea was at Réveille Coffee Co. Heading to other cities across the U.S. or abroad? There are more than 100 Columbia communities across the globe! The class correspondents are class officers that foster relationships between classmates and the College, writing the class notes column for our alumni magazine (CCT). They also keep you up to date on exciting news and upcoming events and programs. Email your news to your class correspondents today! 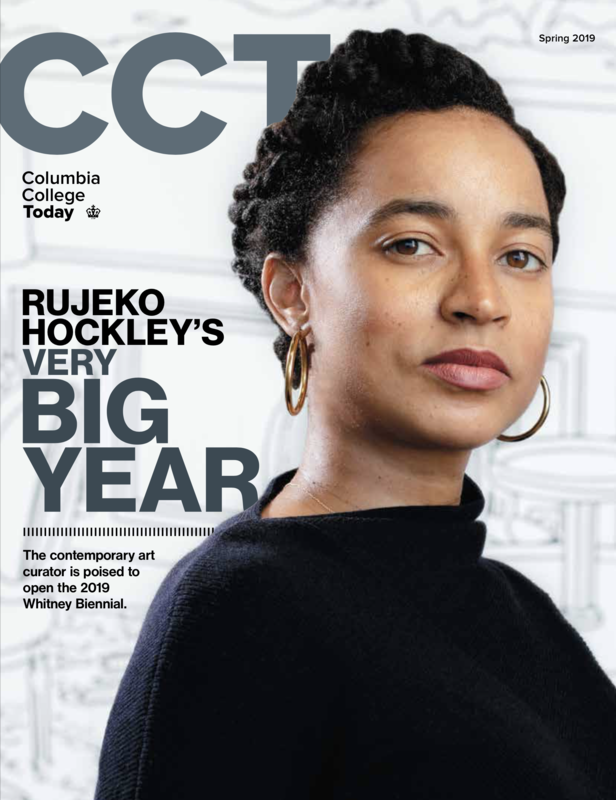 You still have an active role in the present and future of Columbia College. Learn about opportunities to participate and volunteer through the CCAA to strengthen our community and school. Next year, Columbia College will welcome back members of Class of 2016 to celebrate their first Columbia reunion. Class volunteers work in partnership with Alumni Relations staff to create a fun weekend where alumni can connect, learn and enjoy. Eric Shea, Director, Alumni Relations, at eric.shea@columbia.edu.